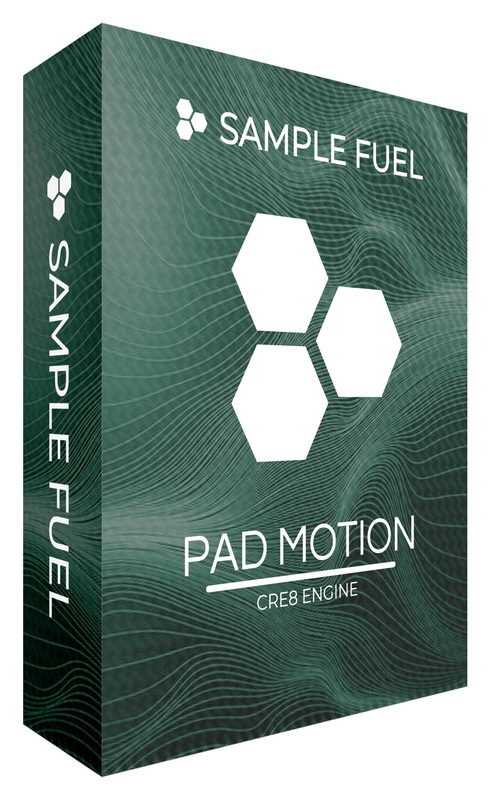 PAD MOTION is Sample Fuel's first Virtual Instrument that utilizes Sample Playback, Granular, Analog Modeling and Wavetable Synthesis all in one instrument. It is powered by their powerful new CRE8 engine. 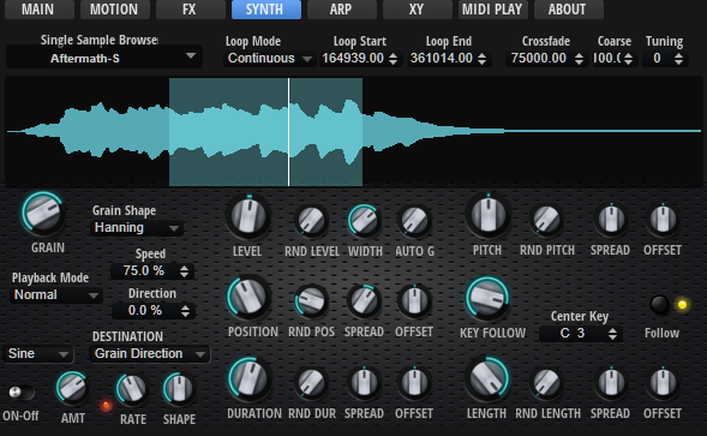 This is not a simple sample library, rather it's a full blown Virtual Synthesizer with four types of synthesis. 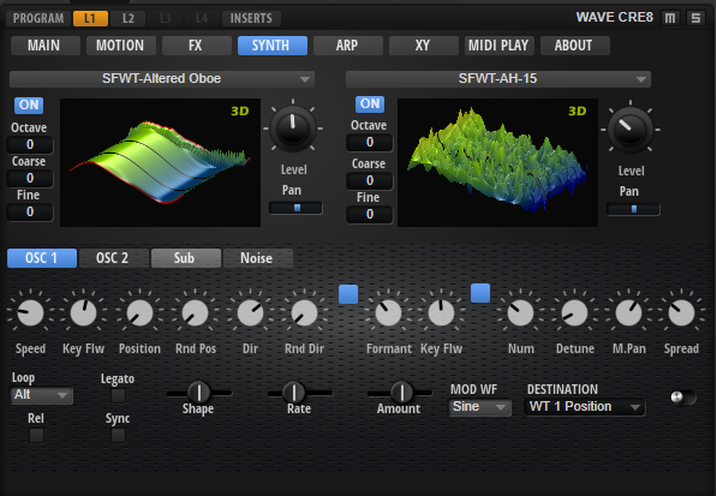 The over 430 presets can utilize any combination of the four types of synthesis and contain up to four layers, making it one of the most unique and capable PAD Virtual Instruments available. Sample Fuel's goal is to avoid being a typical sample library that you purchase, use just a couple of sounds, and leave the rest untouched. They want the entire library to be inspiring and easy to use. 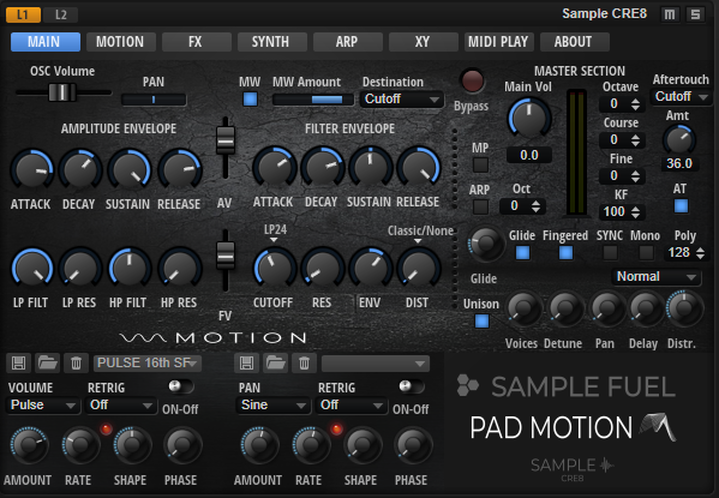 The patches are interesting but simple enough to let you compose with them rather than being restrictive to the point where you have to compose around them. 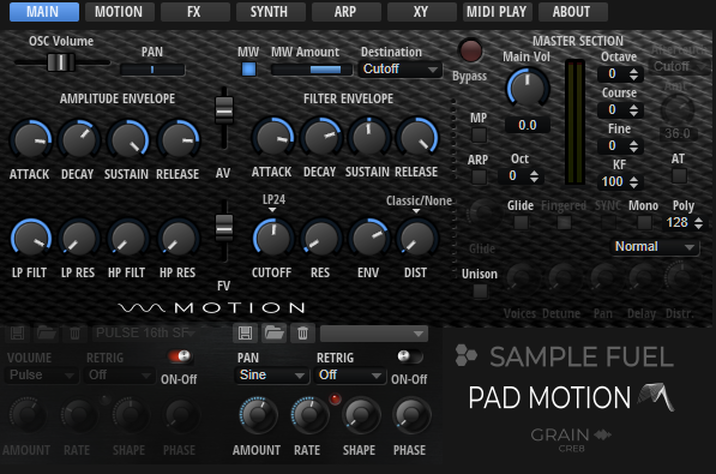 Many of the presets live up to the name PAD MOTION and have complex motion to create interesting textures and moods. All of the "motion" can be dialed back to no movement with one simple quick-control knob, making any sound as complex or as simple as you like. 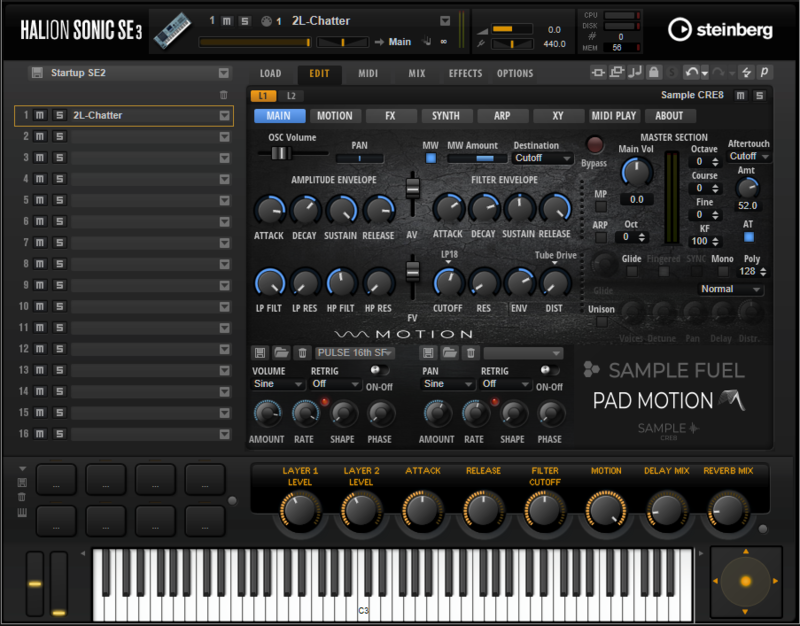 Sample Fuel's approach to sound design and the engine architecture make PAD MOTION the most usable motion pad virtual instrument on the market for the modern day media composer. 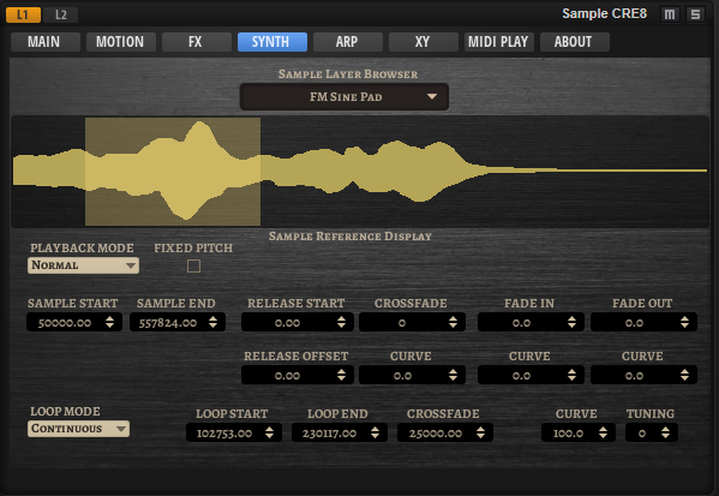 Intuitive single user interface provides all the functionality you would reach for during composing or performing. *Requires HALion Sonic SE 3.1.10 FREE, HALion Sonic 3.1.10 or HALion 6.1.10 or higher.